Marc Summers and David Chambers have a very weird job – they build incredibly tall flagpoles for dictators. Summers and Chambers’s company Trident Support Corporation has cornered the market in the lucrative bizarre world of competitive despot flagpoles. It seems that if you are the leader of an authoritarian regime there is nothing that says you a true leader more than being able to fly a very high flag and so Summers and Chambers are regularly employed to build the worlds tallest flagpoles for authoritarian regimes in the Middle East and Asia. 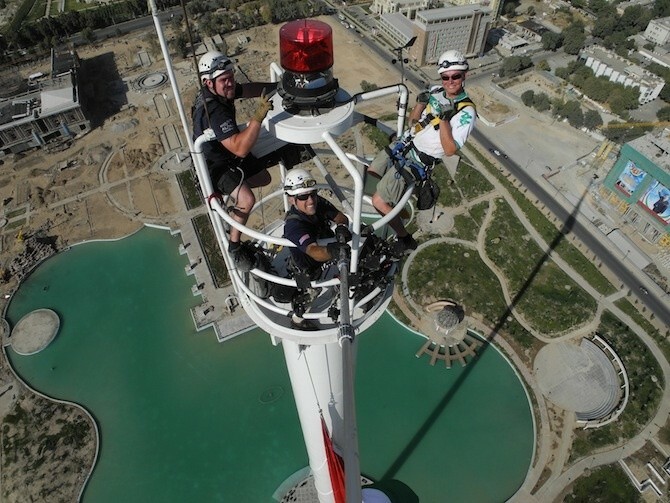 Tajikistan currently hold the record for the world’s tallest flagpole – standing at 165 metres high. 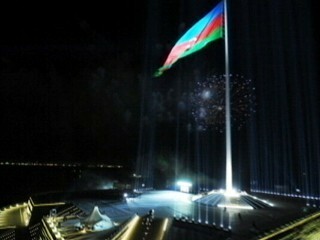 Previous the record had been held by Azerbaijan and, before that, by Turkmenistan. Trident built all three of them. “We build more flagpoles over 100 metres than every other flagpole company in the world combined. No one’s built a world-record flagpole in the last 12 years but us,” says Marc.